Coat of arms of the Newton family of Great Gonerby, Lincolnshire, afterwards used by Sir Isaac. In 1816, a tooth said to have belonged to Newton was sold for £730 (us$3,633) in London to an aristocrat who had it set in a ring. The Guinness World Records 2002 classified it as the most valuable tooth, which would value approximately £25,000 (us$35,700) in late 2001. Who bought it and who currently has it has not been disclosed. 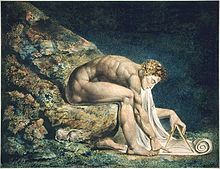 Newton, by William Blake; here, Newton is depicted critically as a "divine geometer". This copy of the work is currently held by the Tate Collection. Whiteside, D.T., ed. (1967–1982). 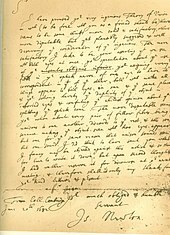 The Mathematical Papers of Isaac Newton. Cambridge: Cambridge University Press. ISBN 978-0-521-07740-8. – 8 volumes. 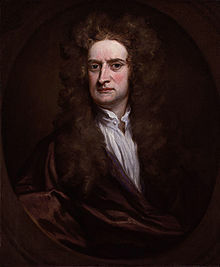 ^ "Isaac Newton: Physicist And ... Crime Fighter?". Science Friday. Transcript. 5 June 2009. NPR. Retrieved 1 August 2014. ^ Haakonssen, Knud (1996). "The Enlightenment, politics and providence: some Scottish and English comparisons". In Martin Fitzpatrick. Enlightenment and Religion: Rational Dissent in Eighteenth-century Britain. Cambridge: Cambridge University Press. p. 64. ISBN 978-0-521-56060-3. Ball, W.W. Rouse (1908). A Short Account of the History of Mathematics. New York: Dover. ISBN 978-0-486-20630-1. Craig, John (1958). "Isaac Newton – Crime Investigator". Nature. 182 (4629): 149–152. Bibcode:1958Natur.182..149C. doi:10.1038/182149a0. Craig, John (1963). "Isaac Newton and the Counterfeiters". Notes and Records of the Royal Society of London. 18 (2): 136–145. doi:10.1098/rsnr.1963.0017. Levenson, Thomas (2010). Newton and the Counterfeiter: The Unknown Detective Career of the World's Greatest Scientist. Mariner Books. ISBN 978-0-547-33604-6. Manuel, Frank E (1968). A Portrait of Isaac Newton. Belknap Press of Harvard University, Cambridge, MA. Stewart, James (2009). Calculus: Concepts and Contexts. Cengage Learning. ISBN 978-0-495-55742-5. Westfall, Richard S. (1980). Never at Rest. Cambridge University Press. ISBN 978-0-521-27435-7. Westfall, Richard S. (2007). 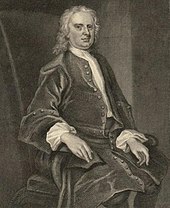 Isaac Newton. Cambridge University Press. ISBN 978-0-19-921355-9. Westfall, Richard S. (1994). The Life of Isaac Newton. Cambridge University Press. ISBN 978-0-521-47737-6. White, Michael (1997). Isaac Newton: The Last Sorcerer. Fourth Estate Limited. ISBN 978-1-85702-416-6. Andrade, E.N.De C. (1950). 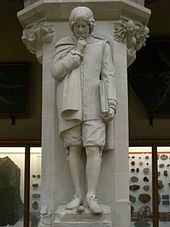 Isaac Newton. New York: Chanticleer Press. ISBN 978-0-8414-3014-3. Bechler, Zev (1991). Newton's Physics and the Conceptual Structure of the Scientific Revolution. Springer. ISBN 978-0-7923-1054-9. Bechler, Zev (2013). Contemporary Newtonian Research (Studies in the History of Modern Science)(Volume 9). Springer. ISBN 978-94-009-7717-4. Casini, P (1988). 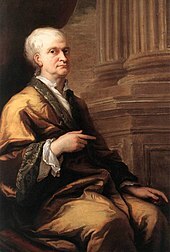 "Newton's Principia and the Philosophers of the Enlightenment". Notes and Records of the Royal Society of London. 42 (1): 35–52. doi:10.1098/rsnr.1988.0006. ISSN 0035-9149. JSTOR 531368. Christianson, Gale E. (1996). Isaac Newton and the Scientific Revolution. Oxford University Press. ISBN 978-0-19-530070-3. See this site for excerpt and text search. 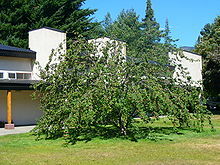 Christianson, Gale (1984). 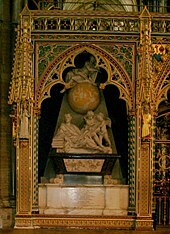 In the Presence of the Creator: Isaac Newton & His Times. New York: Free Press. ISBN 978-0-02-905190-0. Cohen, I.B. (1980). The Newtonian Revolution. Cambridge: Cambridge University Press. ISBN 978-0-521-22964-7. Dampier, William C.; Dampier, M. (1959). Readings in the Literature of Science. New York: Harper & Row. ISBN 978-0-486-42805-5. Dobbs, B.J.T. (1975). The Foundations of Newton's Alchemy or "The Hunting of the Greene Lyon". Cambridge: Cambridge University Press. Eamon Duffy, "Far from the Tree" (review of Rob Iliffe, Priest of Nature: the Religious Worlds of Isaac Newton, Oxford, Oxford University Press, 2017, ISBN 978-0-19-999535-6), The New York Review of Books, vol. LXV, no. 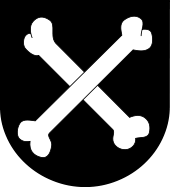 4 (8 March 2018), pp. 28–29. Gjertsen, Derek (1986). The Newton Handbook. London: Routledge. ISBN 978-0-7102-0279-6. Gleick, James (2003). Isaac Newton. Alfred A. Knopf. ISBN 978-0-375-42233-1. Halley, E. (1687). "Review of Newton's Principia". Philosophical Transactions. 186: 291–297. Herivel, J.W. (1965). The Background to Newton's Principia. A Study of Newton's Dynamical Researches in the Years 1664–84. Oxford: Clarendon Press. Iliffe, Rob (2017). 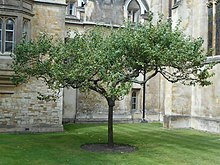 Priest of Nature: the religious worlds of Isaac Newton. Oxford: Oxford University Press. ISBN 978-0-19-999535-6. Keynes, John Maynard (1963). Essays in Biography. W.W. Norton & Co. ISBN 978-0-393-00189-1. Keynes took a close interest in Newton and owned many of Newton's private papers. Koyré, A (1965). 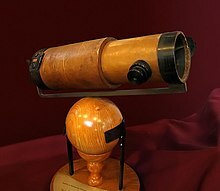 Newtonian Studies. Chicago: University of Chicago Press. 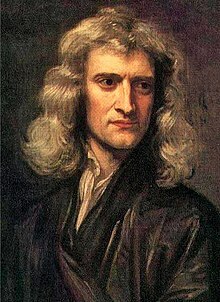 Newton, Isaac. Papers and Letters in Natural Philosophy, edited by I. Bernard Cohen. Harvard University Press, 1958, 1978; ISBN 0-674-46853-8. Numbers, R.L. (2015). Newton's Apple and Other Myths about Science. Harvard University Press. ISBN 978-0-674-91547-3. Pemberton, H. (1728). "A View of Sir Isaac Newton's Philosophy". The Physics Teacher. 4 (1): 8–9. Bibcode:1966PhTea...4....8M. doi:10.1119/1.2350900. Shamos, Morris H. (1959). Great Experiments in Physics. New York: Henry Holt and Company, Inc. ISBN 978-0-486-25346-6. Shapley, Harlow, S. Rapport, and H. Wright. A Treasury of Science; "Newtonia" pp. 147–149. ; "Discoveries" pp. 150–154. Harper & Bros., New York, (1946). Simmons, J (1996). The Giant Book of Scientists – The 100 Greatest Minds of all Time. Sydney: The Book Company. Trabue, J. 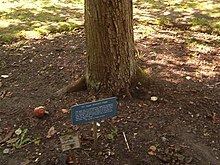 "Ann and Arthur Storer of Calvert County, Maryland, Friends of Sir Isaac Newton," The American Genealogist 79 (2004): 13–27. Westfall, R.S. (1971). Force in Newton's Physics: The Science of Dynamics in the Seventeenth Century. London: Macdonald. ISBN 978-0-444-19611-8. Pfizenmaier, Thomas C. (January 1997). 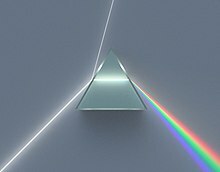 "Was Isaac Newton an Arian?". Journal of the History of Ideas. 58 (1): 57–80. Bibcode:1961JHI....22..215C. doi:10.1353/jhi.1997.0001. JSTOR 3653988. Snobelen, Stephen D. (1999). "Isaac Newton, Heretic: The Strategies of a Nicodemite". British Journal for the History of Science. 32 (4): 381–419. doi:10.1017/S0007087499003751. JSTOR 4027945. Wiles, Maurice. Archetypal Heresy. Arianism through the Centuries. (1996) 214 pages, with chapter 4 on eighteenth century England; pp. 77–93. on Newton, excerpt and text search.